Before starting this post I just wanted to thank everyone who wished me good luck before receiving my GCSE results. I received them yesterday and I passed all my exams which means I’m going to college woo! Thanks again, all your support means the world to me it really does! So yesterday once I got back home from collecting my results I saw my ‘Big box of Lame’ had arrived. I was so excited to open it. I opened it and the shredded paper went everywhere (oops). I can honestly say Chloe and Charlie over at That Lame Company are the best wrappers going, it was perfect! I mean who can manage to wrap to such perfection using the finest piece of tissue paper – only Chloe and Charlie can! It’s their 1st Birthday today so go wish them happy birthday!! All these are super cute and I do love them. As a blogger many of the above are essential to have. For example a notebook which is probably the most important as you always need one if your a note taker because I know I am! Its always good to have a super cute notebook it makes taking notes 10x more exciting I guess. Another one of my favourites has to be the stickers as you can put them anywhere and I love the puns they’re great!! Also super cute and bold coloured which can change up a notebooks whole look. The art prints are perfect for decor. I mean I’m going to put them on my wall and purchase a few more and really change a plain wall in my room to an inspiring and intriguing wall and I honestly am so excited to do this – its going be so much fun!! 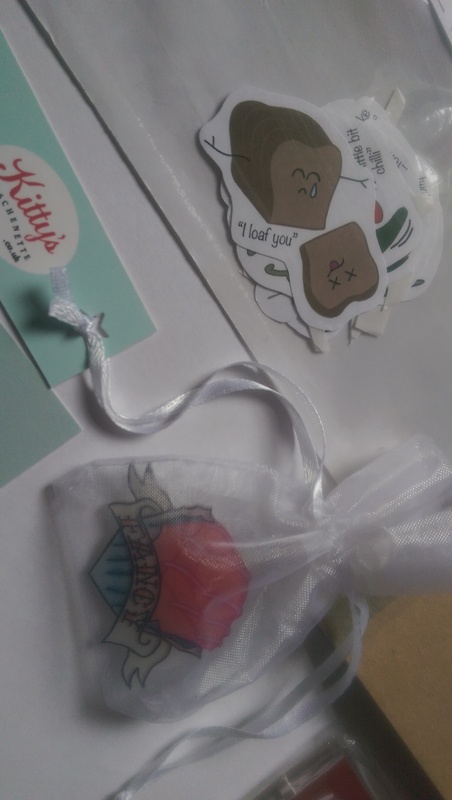 Thanks so much to, Lazy Pencil Company and Kitty’s Kitschenette for these extra goodies I love them both. I love badges and I think I’m going to put mine on my bag as it matches perfectly. Also the art print I will put on my wall with the other too as it fits perfectly! Guys go check out The ‘Big box of Lame’ over at That Lame Company. Don’t forget to #LameCo once you’ve got yours we can be twins!! 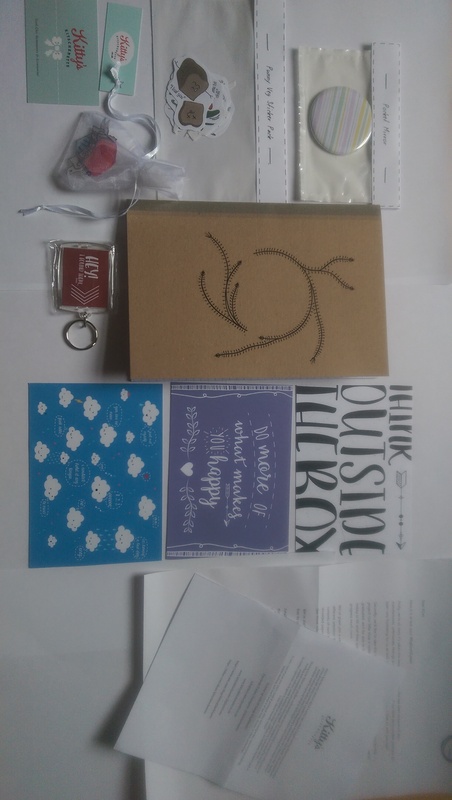 Yay thank you for the post, this is lovely.